Located in the Twin Range of the White Mountains, Zealand Falls is a 25 foot plunge waterfall that then cascades down. 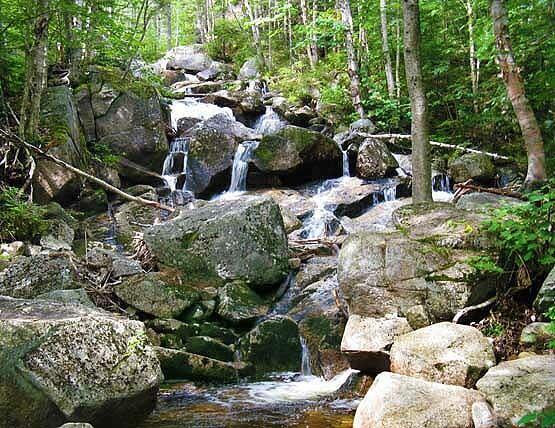 The water source is from the Whitewall Brook. 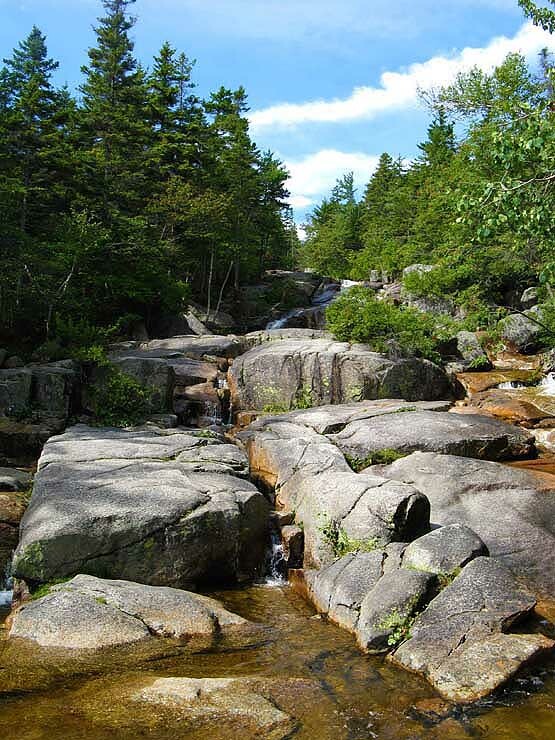 The trail up to the falls is 2.7 miles, and is relatively easy for an average hiker, as there are many flat parts. The last 0.2 miles will be the toughest with rock scrambles. From the Zealand Parking lot, to the falls is a 575 foot elevation gain. 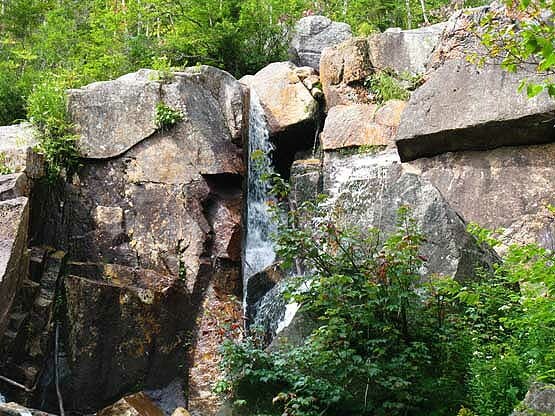 This is a popular waterfall to visit because of the easy trail up, and because you pass Beaver and Zealand Ponds along the way, as well as the being roughly 250 feet from the Zealand Falls Hut. 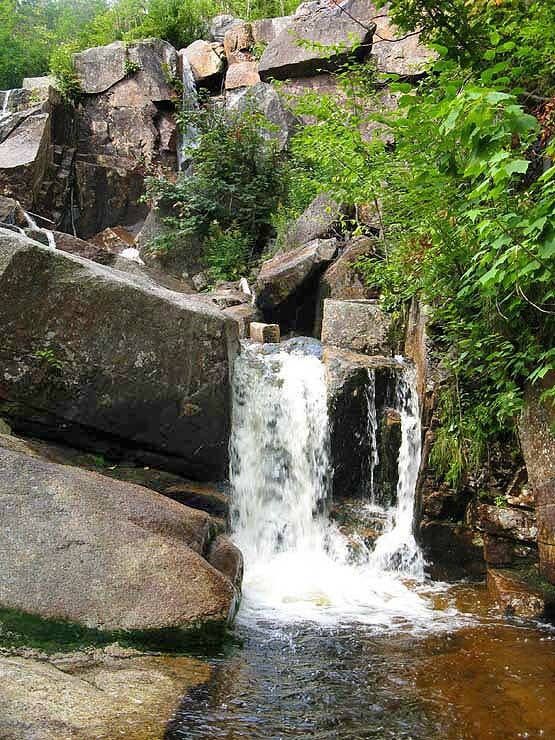 Many hikers choose to sleep at the Zealand Falls Hut to hike close-by mountains such as Zealand Mountain, Mount Guyot, Mount Hale, West Bond Mountain, Mount Bond, Bondcliff and others. Hike up the Zealand Trail for 2.5 miles. At the junction after 2.5 miles, turn right onto Twinway Trail and continue for 0.2 miles until you reach the falls. Lower Zealand Falls on August 24, 2011. Zealand Falls on August 24, 2011. Upper Zealand Falls on August 24, 2011.